It could be that Peter Anholt saw old habits creeping back into his club’s play. It could be that two weeks back in the coaching game opened his eyes to some things. 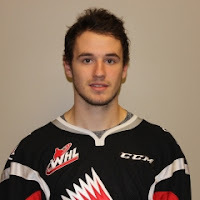 Tuesday, trading F Brayden Burke, 19, the team’s leading scorer and the No. 3 scorer in the WHL last season, to the Moose Jaw Warriors. In exchange, the Hurricanes acquired F Ryan Bowen, who turns 18 on Dec. 10, a second-round selection in the 2017 bantam draft and an undisclosed conditional pick in the 2019 bantam draft. The Hurricanes spent a number of seasons wandering in hockey’s wilderness before bringing Anholt on board as general manager. In 2015-16, Anholt’s first full season in that office, the Hurricanes went 46-24-2. They finished tied for fourth overall, just 12 points behind the first-place Victoria Royals. The Hurricanes finished atop the Central Division standings, but then dropped a first-round series to the Regina Pats in five games. Anholt was honoured as the WHL’s executive of the year. 10 outings. That leaves them tied for 11th in the overall standings. In the Central Division, they are third, eight points behind the Medicine Hat Tigers and three in arrears of the Red Deer Rebels. One of the winningest coaches in WHL history — he has 466 victories to his record and is 10th on the all-time list — Anholt got a closeup look at his team while head coach Brent Kisio was at the U-17 World Hockey Challenge as the head coach for Canada White. Whatever Anholt saw during his five-game stint was enough to prompt him to make Tuesday’s deal. The Hurricanes next play on Sunday when they are at home to the Saskatoon Blades. This season, Bowen, who is expected to be out until sometime next week with a shoulder injury, has 12 points, five of them goals, in 18 games. In 90 career games with the Warriors, he put up 27 points, including 14 goals. From Penticton, B.C., Bowen was a fifth-round selection by the Warriors in the 2013 bantam draft. In 2014-15, he had 28 points, 10 of them goals, with the BCHL’s Chilliwack Chiefs. While GM Peter Anholt works to get his Lethbridge Hurricanes back on track, his Moose Jaw counterpart, Alan Millar, appears to be pushing all of his chips into the middle of the table. In acquiring F Brayden Burke from Lethbridge on Tuesday, he added one of the WHL’s premier playmakers to his roster. An Edmontonian, Burke has 23 points, 19 of them assists, in 15 games this season. Last season, Burke totalled 109 points, including 82 assists, the latter figure tying him for the WHL lead. In 131 regular-season games, all with Lethbridge, he has 166 points, 127 of them assists. “It was an opportunity to add an elite player,” Millar told reporters in Moose Jaw. 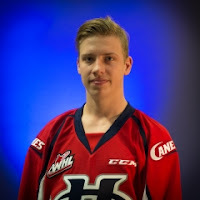 “There were only two players who had more points than him last season, Adam Brooks and Dryden Hunt (both of the Regina Pats). Millar pointed out that the Warriors didn’t make the deal thinking only about this season. The Warriors certainly upgraded their top six forwards by adding Burke to the mix. Chances are they also upgraded their power play. “When we look at our skill level, how dynamic we can be up front,” Millare said, “we believe he’s going to help us on the power play. He’s played as the power play quarterback for Lethbridge. He’s going to make our top six better. He’s going to allow us to put together a third line that’s going to be hard and compete against the other teams’ top lines. “At then end of the day for us, it was a price to pay but it was an opportunity to add what we feel is an elite player, one of the top players in the Western Hockey League. The Warriors (11-4-2) are 7-3-0 in their last 10 games. They are sixth in the overall standings, just four points out of second and six points from the top rung. What makes Millar’s move so intriguing is that Regina, the Warriors’ fiercest rival, may, at the moment, be the WHL’s top team. The Pats (12-0-3) are 9-0-1 in their last 10 games and remain the only one of the CHL’s 60 teams not to have lost in regulation time. Regina is third in the overall standings, just three points behind first-place Prince George and with four games in hand on the Cougars. The Warriors next play on Thursday when they entertain the Pats. While Burke is expected to be in Moose Jaw’s lineup, the Warriors continue to play without F Brett Howden (hip), while F Jayden Halbgewachs will sit out a one-game suspension for a checking-behind-major and game misconduct he incurred against the visiting Seattle Thunderbirds on Saturday.